Hannu Vartiala has just let me know that he has moved his website to a new address – so I’d like to take this opportunity to direct intheboatshed.net readers over there for a happy few minutes. 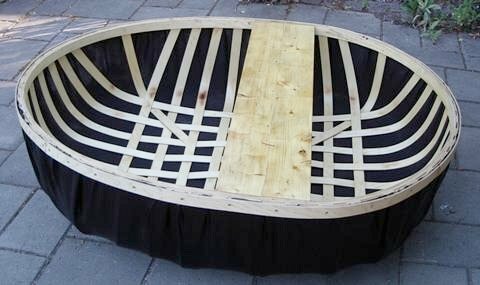 It’s true that Hannu’s chosen boatbuilding material isn’t mainstream for intheboatshed.net, but those of you who yearn to build a small boat and are happy to do so in plywood may well find his plans interesting, for as well as the coracle pictured above, he has included some interesting boatbuilding plans and material on flat-bottomed swamp boats, drawings for a useful-looking 12ft flat-bottomed skiff, various variants on the Auray punt theme including Chapman’s Ekstock boat, and a couple of light-weight plywood dories. Well worth a look, I’d say.